At this point, the Kardashian family is almost synonymous with drama--and the upcoming season appears to be slated to deliver on that established truth. One of the most buzzed about topics surrounding the family right now is that Kim Kardashian, 38, is having a fourth child via surrogate with her rap legend husband, Kanye West. In the new trailer for Season 16, Kim and Kanye reveal to the family their exciting news. "We have an announcement to make," Kim begins. "We're having a baby!" 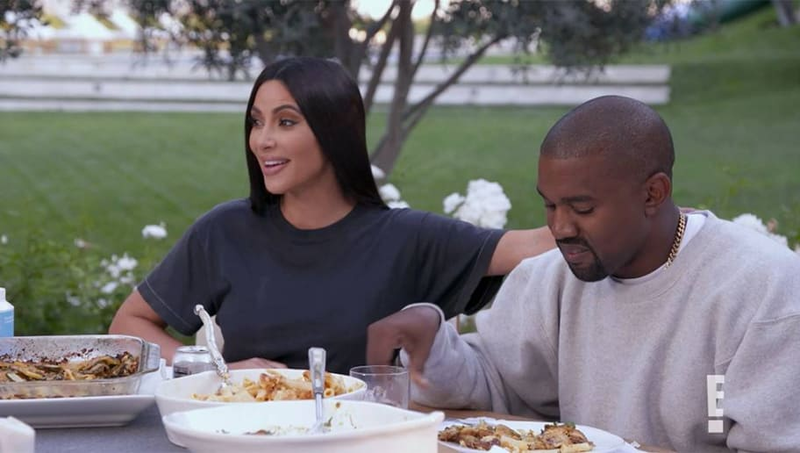 Meanwhile, Kanye remains unfazed by the conversation and continues to enjoy his food. Kardashian's mother, Kris Jenner, and somewhat-brother-in-law, Scott Disick, are elated over the news. However, the joyful moment is cut short when the trailer moves to a tense scene between the couple in the car, with Kardashian saying, "I don't got love," and staring at her husband. The drama, per usual, is not limited to just this couple, however. The trailer also teased at drama between Kourtney, Khloé, Scott, and Kim during a dinner party, as well as a quarrel between exes Kourtney and Scott, who share three children together. KUWTK never fails to deliver on all the guilty-pleasure drama we could ask for, and we can't wait to see how this all plays out in the upcoming season.